As there are high cliffs out there and it makes very good place for observation. 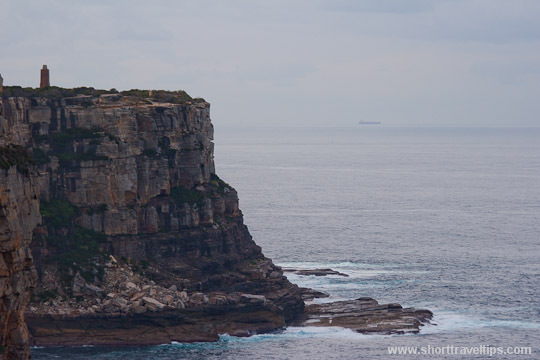 South Head is my preference, as there is trail along the coast and you can walk almost all way down to Bondi Beach which Southern Right Whales like to visit from time to time. Besides whale watching from the shore is more ecologically friendly as still there is unknown how boats are affecting whales migration. Marine Mammal Research Group at Macquarie University currently working on a project assess the current whale watching guidelines in Sydney. Actually they have some volunteering positions if somebody interested to join them. 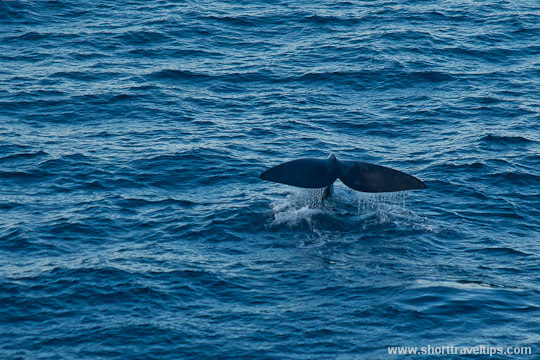 While on the coast you can follow whale watching tour boats and it will be easier to spot whales.